After visiting a cafe and not having anywhere to hang his bag as he enjoyed his drink, industrial product designer Phebos Xenakis, set out to design a bistro table that would solve this problem. Named Trapesi, the small table is designed so that each of the four corners has a fold in it, suitable for hanging a bag. 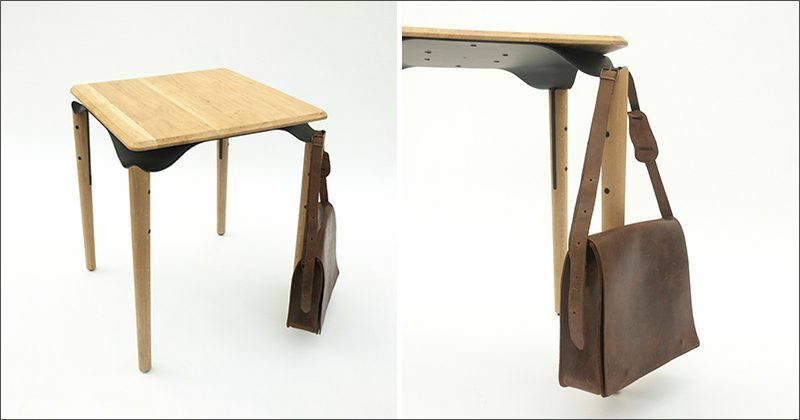 The table, which is made from solid oak, has a steel middle section with each corner curved in a way so that it becomes a hook for a bag, or a space for a rolled up magazine. 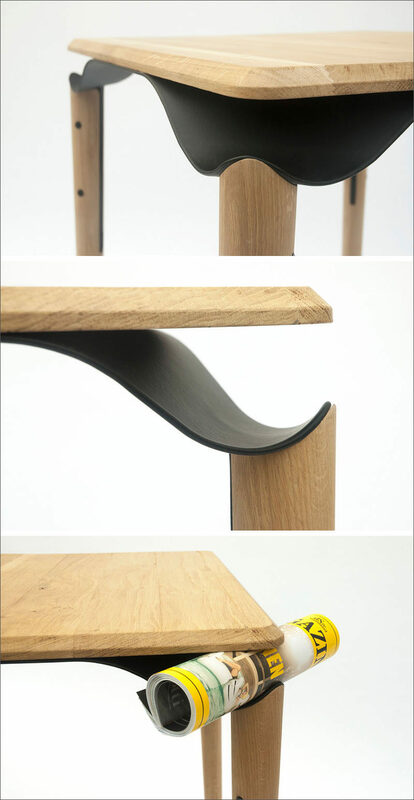 Each leg is then attached to the middle section, making the table top almost appear as if it were levitating. 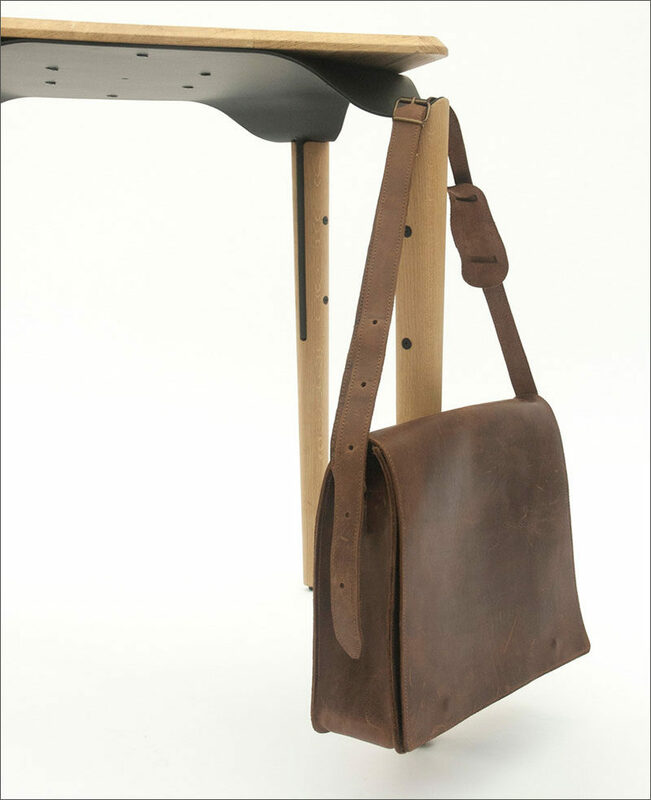 By having the corners of the table become the hook, this allows people sitting at the table to keep an eye on their bag, instead of hanging it over a chair where it might be inviting to a thief.